There’s a 25-foot tall yeti with glowing blue eyes lurking at the edge of Park City, waiting for unsuspecting skiers and snowboarders. It’s not an urban legend. You can find the yeti in the parking lot of RAMP Sports—and boardslide its arm, if you dare. Built from recycled materials by local artists the Yeti Collective, the sculpture is RAMP’s centerpiece for its annual community gathering—the Bamboozle. Every year, the Bamboozle takes over RAMP’s factory to celebrate riders, artists and musicians with live music, an art show and a rail jam. A few brave athletes slide the yeti’s 20-foot arm onto a 15-foot truck-top rail and down 15 feet to land. It’s a gnarly feature that most riders avoid. But the yeti also stands as a testament to the dedication RAMP (Riders Artists Musicians Project) has to locals, art and our environment. 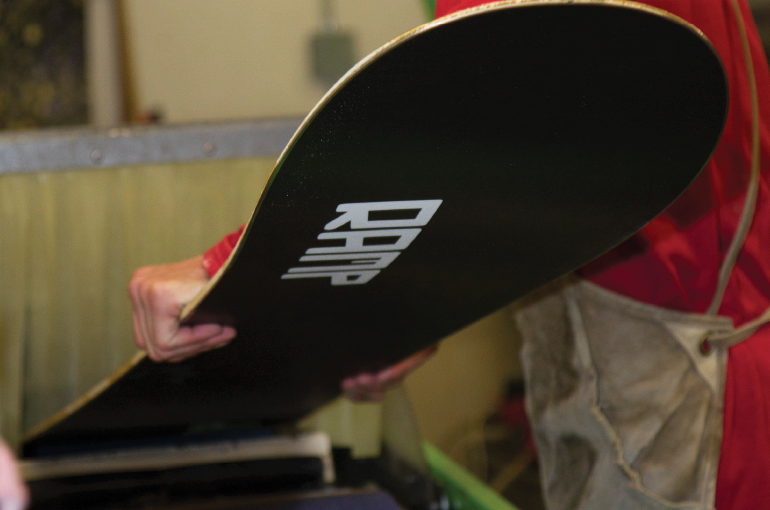 RAMP started manufacturing skis, snowboards and longboards in 2009, with the goal of responsibly producing the best winter toys. The largest part of that relationship is the knowledge that the materials consumers buy are as earth-friendly as possible and that the people making products are treated well. This is hard to know with overseas manufacturing and the driving reason behind Kilchenstein’s decision for RAMP’s U.S. factory. Making skis and snowboards and enjoying ski resorts are inherently un-green activities. Kilchenstein readily admits this and is determined to change the nature of his industry’s best practices. RAMP has made responsible manufacturing the foundation of its business model, and it’s not just another “greenwashing” marketing ploy. On top of its environmentally responsible construction and shipping materials, RAMP purchases renewable energy from Rocky Mountain Power’s Blue Sky program to run the factory. And, for each snwowboard and pair of skis sold, RAMP buys a carbon emission offset of 300 pounds from Native Energy. RAMP even runs a buyback program where it gives a $50 credit toward new gear whenever old skis or snowboards are traded in. If the gear is in good condition, they are donated to youth and adaptive programs, and if not, they are made into furniture or art. Another reason RAMP has the yeti out front, or so the lore goes, is to guard its patented manufacturing process. 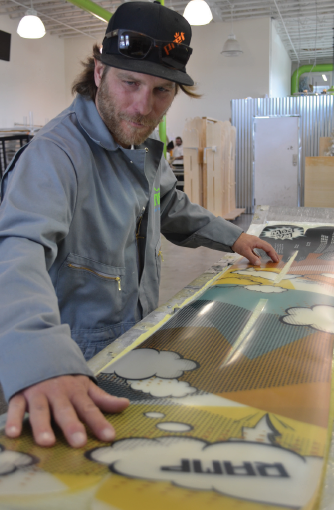 It’s the secret sauce behind the company’s award-winning skis and snowboards. The process allows its in-house engineer to change shapes and designs by adjusting computer DXF files instead of making new molds, saving months of time on innovation cycles and tons of wasted materials. Park City’s ski-town culture, access to the now-largest resort in the United States and proximity to legendary Wasatch backcountry made it the ideal location. 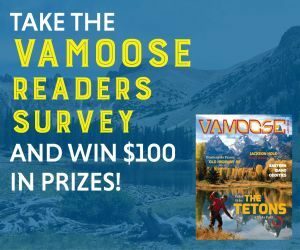 Add to that a 30-minute drive to the airport, Utah’s business-friendly reputation and the annual Outdoor Retailer markets, and it sealed the deal. It also means the company can get a prototype on the slopes in a week to be tested by pro team riders such as Olympic gold-medalist Ross Powers and freestyle-skier Nadia Gonzales. This velocity gives RAMP a huge advantage in creating quality skis and snowboards—winning seven medals last year from Powder, Freeskier and Skiing magazines. Its big mountain Peacepipe skis won a Powder Skiers Choice Award in 2015, but RAMP isn’t resting on its award-winning designs. Look out for the new one-ski-quiver Shabang and the Puff powder snowboard this season. The best part about having RAMP in Park City is that everyone can demo skis and snowboards straight from the factory. Just make a reservation online and find the building with the 25-foot tall yeti out front.